Pavers have become popular for use in sidewalks, patios, walkway and pathways, but driveways are where they really shine! 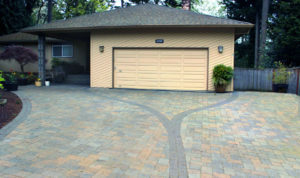 Made of concrete, pavers come in wide variety of colors, shapes, sizes, patterns and textures giving you choices to create a unique driveway to compliment your home and landscape. 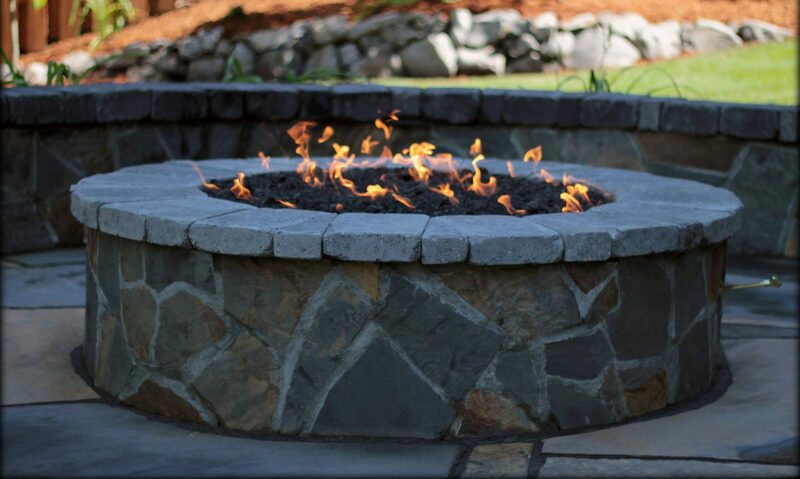 Pavers are manufactured to high standards, creating a strong product that can actually make a stronger driveway than poured concrete or even asphalt. And unlike concrete or asphalt when repairs are needed it’s as simple as removing a paver and replacing it with a fresh new one. When concrete or Asphalt crack or split it can be a costly and lengthy repair. 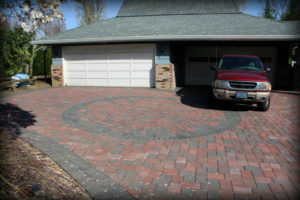 In fact, most paver driveway repairs can be made by you, the home owner, in just a few minutes! No extra cost to hire someone for repairs. The pavers that are used for driveways are usually interlocking, which both speeds installation and strengthens the surface. 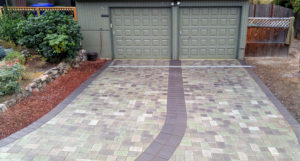 Additionally, Paver driveways do not require a curing time like concrete and Asphalt do. The rainy weather here in the Northwest won’t impede the installation of your new driveway nor will you have to wait to use it! 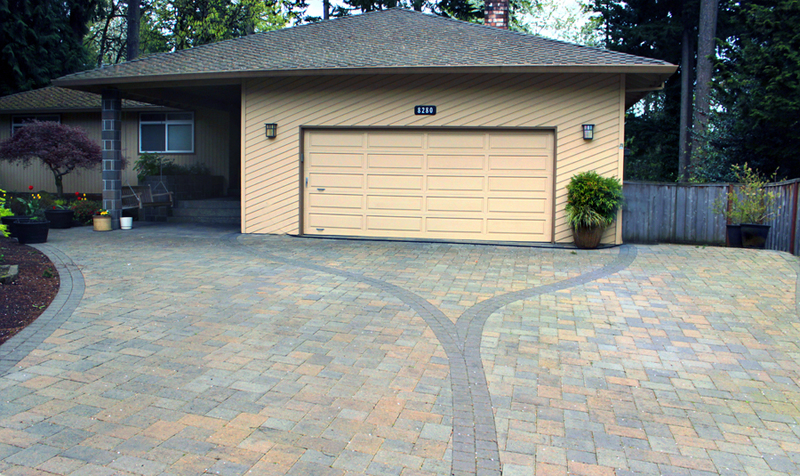 Most pavers also offer more traction when wet than poured concrete, which is a big plus in our NW climate. Properly installed and maintained, a concrete paver driveway can be expected to last 25 to 50 years! 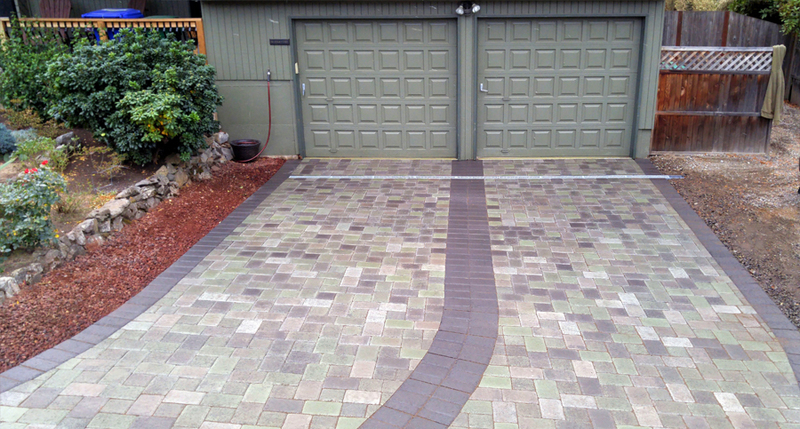 at 503-654- 1953 and get the stylish new driveway of your dreams!